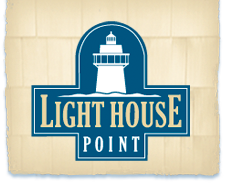 Light House Point is a new construction private community, providing maintenance-free, luxury coastal living, so that your vacation-life becomes your everyday-life. This property is one of the newest developments of luxury condos for sale in Plymouth, MA. With your choice of floor plans, each condo offers a unique living experience. From the breathtaking water views, to the fine design of these luxury homes, no detail has been overlooked. All of our residences feature a gourmet kitchen and spectacular master bath, which have state of the art, high-end features and fixtures. Bedrooms are spacious and offer generous closet space. And the open floor plan is modern and well designed with wall-to-wall windows in the living area providing breath-taking views of the water and nature surrounding the property. We’ve taken every step to make Light House Point the peaceful and private, resort-style retreat you can call home. A FLAT Featuring All bedrooms, bathrooms, Living Room, Dining Room, Kitchen and Laundry on the one floor. Building D is complete! This building features 2 bedroom luxury condos with direct access to the water. Breathtaking views from almost every room.